☊☊☊☊☊☊ Maybe With A Chance of Certainty by John Goode ☊☊☊☊☊ | Because two men are better than one! I bought this book (and the rest of the series) and obviously started with this one first – duh! 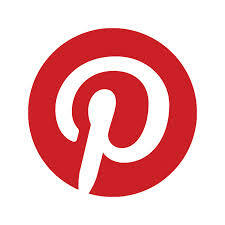 I read and LOVED it. Then I had the chance to listen to the audio version. And WOW! If I thought I enjoyed the story the first time round, the audio version just improved on it. The narrator, Michael Stellman, enhances the story and takes nothing away. It was so interesting to compare my thoughts on the story from my own reading experience versus my thoughts from the listening experience. Sometimes the narrator’s voice and style doesn’t match the characters I have built in my head but this one hit the nail on the head – brilliant! Michael Stellman’s voice captured Kyle perfectly with a real sense of youth and emotion. I loved the style of writing and characters were totally wonderful. I loved the emotion and challenge of growing up. I loved the nerd and the jock facing life head on. I loved public confrontations and grand gestures. But most of all I loved the strength and honesty. I haven’t read the second book, End of The Beginning yet but have started listening to the audio version. I’m not too far in but loving the continuation of the story, this time from Brad’s point of view. I wouldn’t usually come right out and recommend an audio book over the ebook or print edition (I’m a bit old-school that way and prefer the characters in my head) but this is the reverse for me. I actually originally rated the written book as a 4/4.5 but it is now a definite 5 and moving to my favourites shelf! 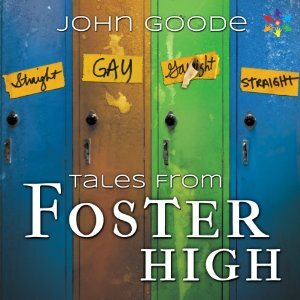 To find out more about John Goode check out the Tales from Foster High Facebook page. Buy Maybe With A Chance Of Certainty from Amazon. Buy the audio book, Tales from Foster High (books 1-3) from Audible. Pingback: ☊☊☊☊☊ End of the Beginning & Raise Your Glass by John Goode ☊☊☊☊☊ | Because two men are better than one!